What is dbSheetClient? | Newcom Inc.
dbSheetClient allows you to create a Web-enabled system using the Excel interface and its functions that you are familiar with. It has got all the features and standards you need to use in an office system. 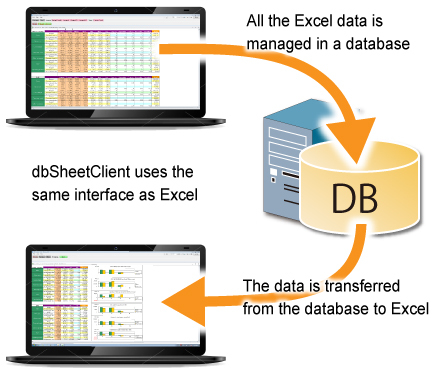 dbSheetClient provides solution for easy construction of a rich client Web-enabled system that applies its frame to Microsoft's Excel and Access, applications that are most commonly used in offices. In this rapidly changing era, this tool not only makes system maintenance easy, but also allows for in-house system creation. By developing a Web-enabled system in-house and then performing maintenance in-house as well, you can swiftly respond to specification changes as well as significantly reduce expenses. * For Access, please also check the Access Version. 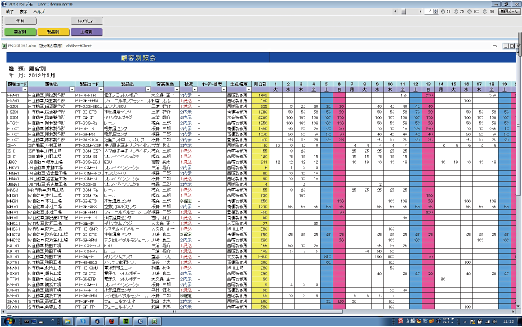 All the input Excel data is updated and managed in a database. 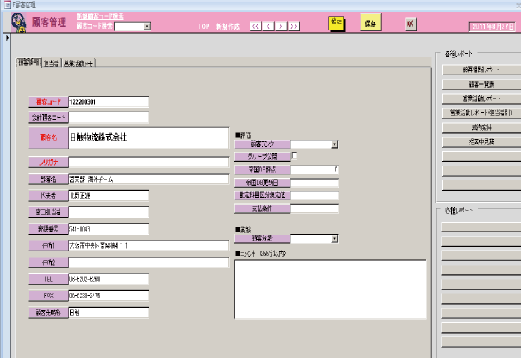 The data can be transferred from the database to Excel. In other words, dbSheetClient uses the same interface as Excel. dbSheetClient consists of a Server component that operates on the server-side, a Runtime component that operates on the client-side, and a Development component that creates the definition files that act as an instruction document for the Runtime component. 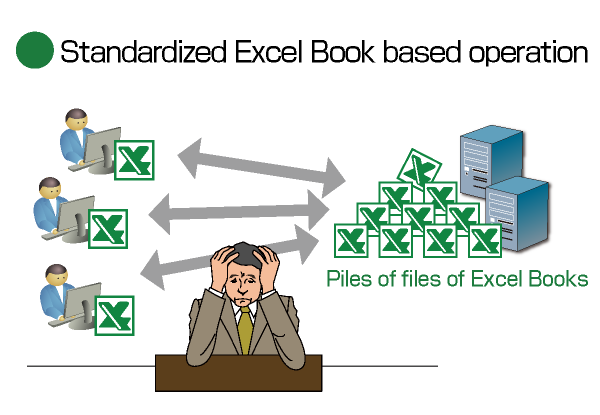 Formalized Excel operations generally refers to work stages involving the distribution of Excel Workbooks standardized through work improvement activities to the same managers. Sharing information on the file level. – File management is required for a number of participants. If files are sent and received frequently, it becomes cumbersome to manage freshness of data. Reliable data management is difficult. – No decisive data leakage/falsification control. Management is difficult because Excel sheets can be updated arbitrarily by workers. Aggregation of Excel Workbooks is cumbersome. – A massive amount of work hours is required for categorizing and aggregating Excel Workbooks. Sharing of information in real-time is difficult. – Information sharing is limited to a monthly level. The file can be damaged due to simultaneous access from multiple users. –Access is not a product that assumes the simultaneous access of multiple users. Data integrity can even be lost. File sizes expand rapidly each time a file is overwritten. –The maximum size of a file allowed by Access is 2GB. For files larger than that, you need to allot and use MDB. Due to the increase in data processed by Access, the processing speed becomes extremely slow. –In the case of a link table, the network between the server and client computers will experience a very heavy burden. It's easy to copy Access files, so there is a risk of information leakage. –Leakage of information sometimes leads to corporate complaince problems. It's difficult to create a Web-enabled system using WAN connections. –With Access, it's possible to construct a stand-alone or client server system, but it's dificult to make a Web-enabled system. 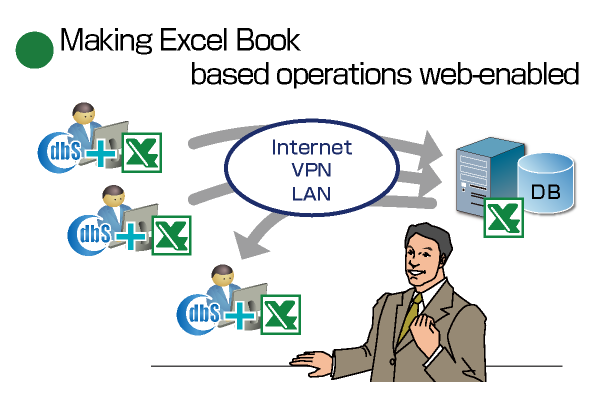 dbSheetClient is a tool that is extremely efficient for creating a Web-enabled system for Excel operations. Since the Excel sheets and database on the server are directly linked, the chart on the Excel sheet is just a screen format, and the data input on the screen is directly input into the database by pressing the "Register" or "Refresh" buttons. 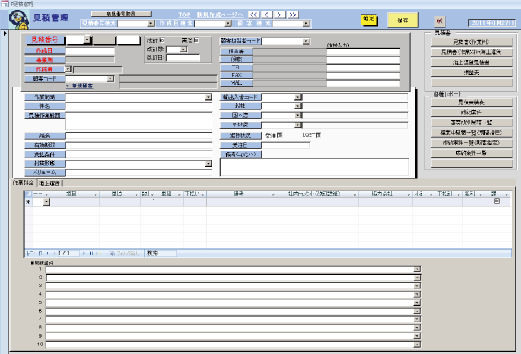 Therefore, even if the application is opened by many people, only one Excel Workbook is needed. Also, by using the functions of the Server component, you can easily achieve central management of resources and the establishment of a secure environment. Furthermore, the data in the database, offers easy achievement of categorizing and aggregating Excel Workbooks and also sharing information in real-time. dbSheetClient allows for data in Excel Workbooks to be stored not only in the Excel Workbook but in its database. As a result, complex procedures to collect data from Excel Workbooks for calculation becomes unnecessary. –Only one Excel Workbook is necessary. It's also easy to centrally manage other resources. –Easy construction of structures for permission management and log management. –Reduction of massive amount of work hours needed to aggregate the Excel Workbooks. –The second the data is updated into the database, you can easily share information in real-time. For Access version, you can create the program in Access and call for the dbSheetClient function by API. Therefore, it's relatively easy to upgrade to a Web-enabled Access system. 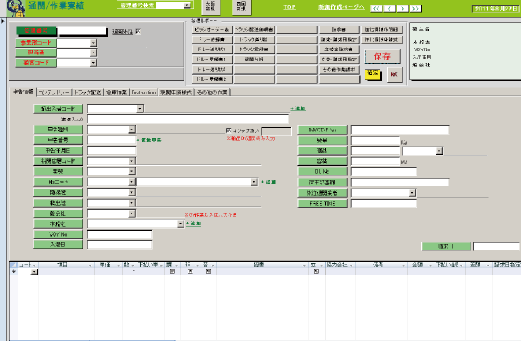 Also after upgrading to a Web-enabled system, system maintenance by persons who understand AccessVBA becomes possible. Therefore, even with a rapidly-changing environment, you can achieve development and operation of a system that the workers will enjoy. Access file based operations can become a web-enabled system using dbSheetClient, so valuable local data can be turned into even more effective management data. –Migrating (upsizing) from Access to SQL Server/Oracle virtually solves the problems (1-4) stated above that are faced by usage of Access. –You can develop in a short period of time to make the most of Access' resources, such as forms, reports, queries, modules, macros, and table definitions. –Use the database control, permission management, log management, and unauthorized access prevention provided by dbSheetClient server component to heighten security. –You don't have to learn server languages, such as Java, PHP, and ASP.NET. You can move development and maintenance to in-house operations. 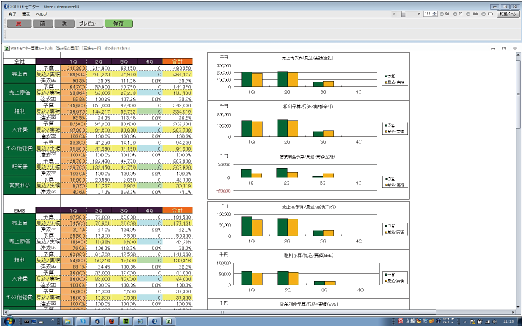 Below are screen shots of dbSheetClient system, which replaced Excel Workbook based operations. In doing so, previously used Excel files are retrieved and re-used in dbSheetClient system as they are. Therefore, introducing a new operation by dbSheetClient costs less effort, even to the end users. 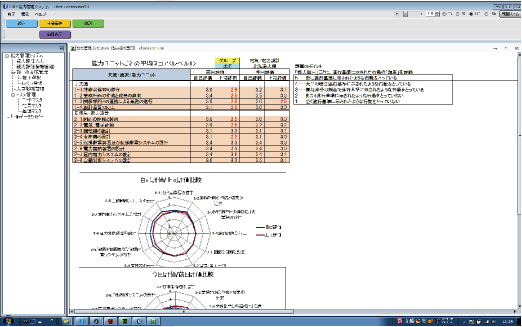 Below are some of the screen shots of our customer, Ichimiya Transportation Co., Ltd's.